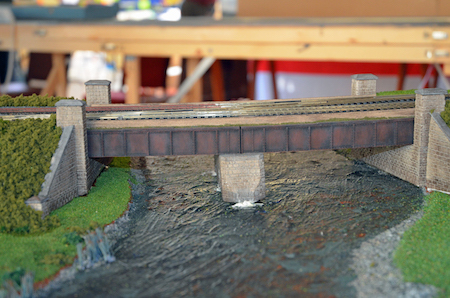 The main scenic boards are nearing completion and work on the fiddle yard boards is well advanced. It is anticipated that construction works will be completed during this year, to enable the finished layout to be exhibited at our 2018 Exhibition. 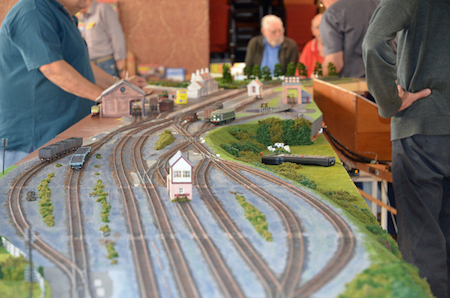 The layout features the Model Electronic Railway Group (MERG) CBUS system to achieve point and signal control. This reduces greatly the number of wires going across table joins. 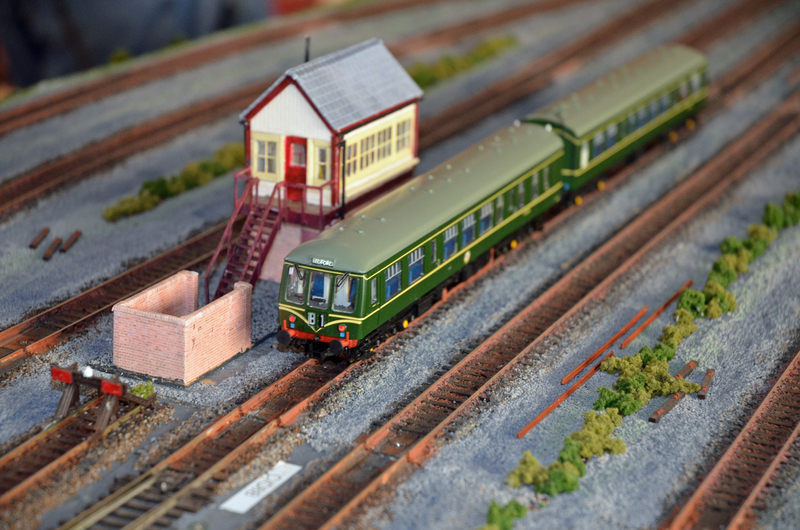 A terminus style layout set in 1930’s Wales. 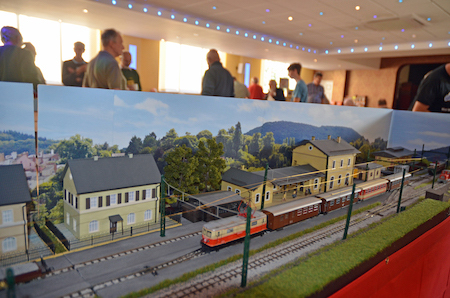 Based on the Mariazellerbahn in Austria, which is a 760mm narrow gauge line running south from the Salzburg to Vienna main line at St Polten. This is Peter’s first attempt at continental modelling in the HO scale. Set in Lincolnshire. Terminus of an estate railway, growing various crops (mainly potatoes) with a narrow gauge connection to the main line. Parcels facility adjacent to London Victoria station. 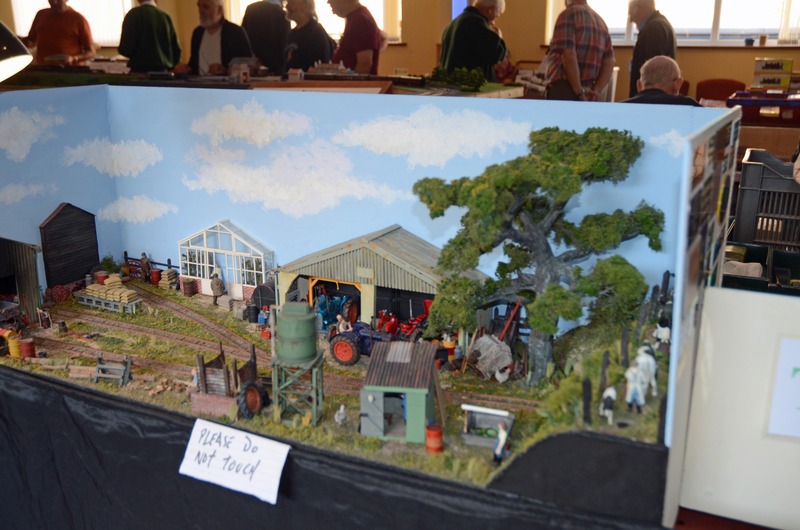 The 2018 Exhibition will be held at the Carlton House Club again, on Saturday 1 September. This page was last updated on 14 January 2018.